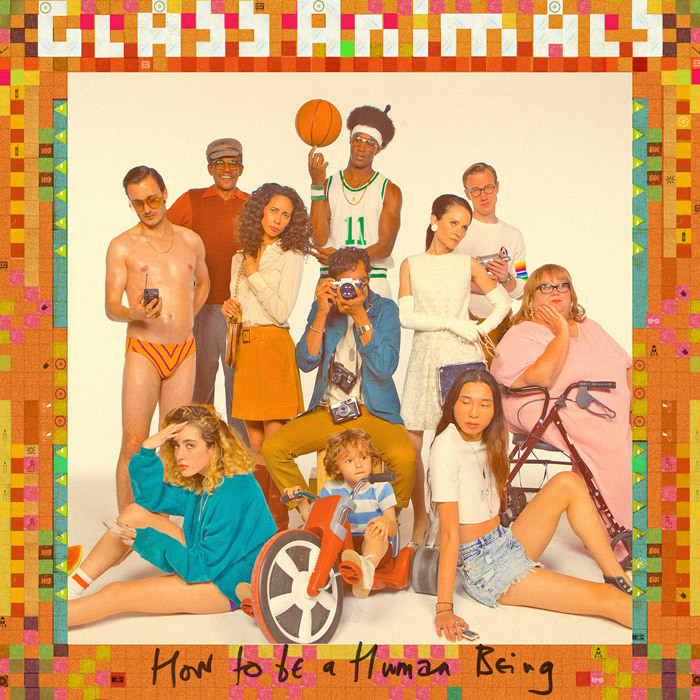 As the second release from Oxford English Indie Rock band Glass Animals, “How to be a Human Being” had the great chance to stick to the same flow that “Zaba” initiated for the band. However, the album innovated and changed much, perhaps even superseding “Zaba.” “How to be a Human Being” incorporates the same mesmerizing, flowing, trip of an album, but adds a layer of relatability and, in essence, fun that permeates the album. Inspired by stories from fans, cab drivers, and random people simply venting, David Bayley presents simple airy stories through a blend of lyrics that decompose them into something more, adding a gooier and lighter edge to the album as a whole. Glass Animals draws numerous influence from jazzy and eclectic beats, combined with a tone that showcases 90s R&B and soul, and thrown together with building electric rock synths. The songs flow from easy quick listens that stick along with you, building together both metaphysically and actually. The best word I’ve found to describe the listen is oozing. They rise and fall, beating a pulse into the album that combines with the sometimes awkward but always fun lyrics. In comparison with “Zaba,” “How to be a Human Being” retains the same quality of odd eclectic but well executed randomness, however it adds an impish personality that wasn’t seen in the lighter and airier “Zaba.” The album runs through interconnecting but different stories episodically, almost like a sitcom, which adds an air of connected tissue throughout that keeps the album together. All in all, though perhaps “Zaba,” had a few tracks that stood out more, such as “JDNT,” “Toes,” and “Gooey;” I enjoyed “How to be a Human Being” more as a whole album, and it furthered my love for Glass Animals. Though sometimes the lyrics and the sounds can be disconcerting and gross, that is what adds the personality and heart to the songs of Glass Animal, that I’ve come to greatly appreciate. If you’re listening and wondering what the weird feelings that are coming out are, don’t be alarmed, that is the fun of Glass Animals.